SINGLE LEVEL OPEN CONCEPT HOME!! This newly remodeled home, situated in the highly sought after coastal Laguna Niguel area of Niguel Hills, is an entertainers dream! As you enter the home, you will enjoy an ambitious open floor plan, light filled great room and views all the way to the backyard. The kitchen opens up and flows beautifully into the dining and living spaces, making for a great entertainment space. To give it an even more open feeling, open up your brand new 12+GG PANORAMIC sliding door and truly enjoy indoor/outdoor California living. The kitchen has been upgraded with all new stainless steel appliances, new cabinets with soft close, marble backsplash and quartz countertops. 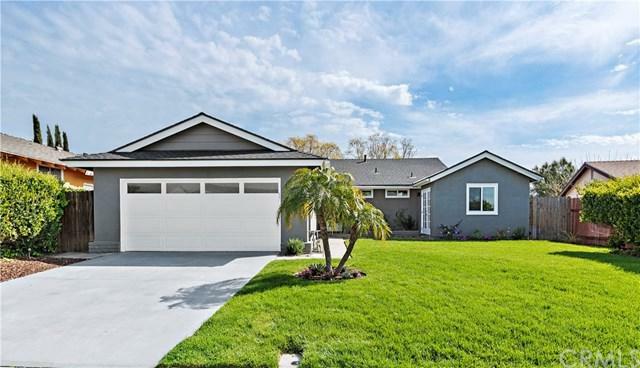 The home has been upgraded with new LED lighting and hardwood flooring throughout, new dual pane windows, as well as a brand new roof with a 25year warranty. Additionally each of the bathrooms have been upgraded with quartz vanities as well. With 5 bedrooms, 2.5 bathrooms and 2,050sqft this home has two permitted additions which include an additional room as well as an and expanded en suite master retreat. Situated on an elevated 7,488sqft lot with new landscaping throughout, enjoy the privacy and tranquility of your spacious backyard while enjoying beautiful city view of Laguna Niguel. With NO HOA, NO MELLO ROOS and low taxes this Turn-Key home will go quickly!